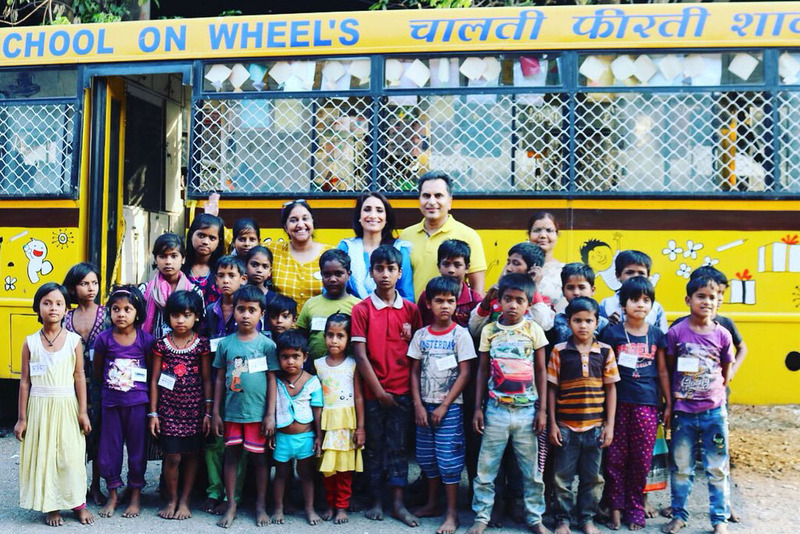 In February 2018 Anita and Avnish Goyal visited Mumbai, where they were offered the chance to visit and spend a day with the School on Wheels: the flagship project being run by Doorstep Schools in their aim to address illiteracy and education needs in the poorest parts of society. Following the insightful and emotional visit, the Hemraj Goyal Foundation decided to partner with Doorstep Schools, with the aim of raising enough funds for a new school on wheels to be running by early 2019. The total cost to buy and refit a mobile school on wheels is £23,000, with a further £15,000 annual running cost per bus. HGF is delighted to be partnering with Child Action for this mission, with Child Action contributing £5,000 per annum towards the running costs. At the Ensemble fashion event in March 2018, HGF presented the project with the first £5,000, and proceeded to raise a further £1887 during the event. The video below offers a short insight into the incredible work of these schools on wheels, which provide children living on old railway lines with education and access to reading materials on their doorstep. With more fundraising activities planned over the coming months, we are confident that we can raise enough funds to extend this vital education to more underprivileged children across Mumbai. You can help us reach our target of buying a new school on wheels by joining us at the inter-university dance contest ‘Just Bollywood’ in December 2018. Further details of tickets will be released very soon – simply sign up to our email list to be the first to hear about all our upcoming events and projects.